Join us at The Swan for our first Wedding Open Day and see our beautifully refurbished wedding venue set up for your wedding ceremony, breakfast and reception. Enjoy Prosecco and canapés on arrival, sample treats and learn about our brand new wedding packages, carefully put together to make your wedding planning simple. 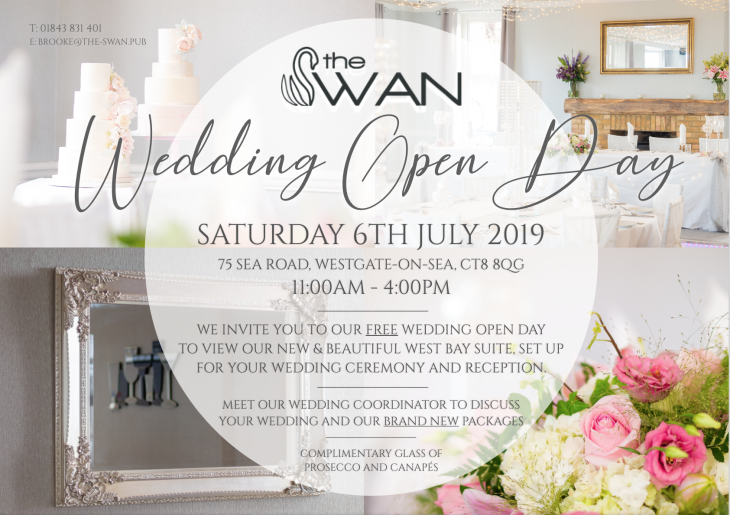 Our dedicated Wedding Coordinator will be there to discuss your plans for your special day and answer any questions you have about your wedding at The Swan. Open from 11:00am to 4:00pm with free entry to all.